Several weeks ago, a few of us at Ranktab started working on a new way to propel smarter decisions for everyday challenges, a project we now call TextBot. Our goal: create a product that learns from your decisions and adapts itself to help you achieve long-term goals. It would deliver contextually-aware, habit-forming reminders via the simplest communications channel possible: text. Today, we are excited to unveil TextBot! TextBot is an SMS-native bot, meaning there is no app to download or no platform to run on, just SMS a photo to it, and it'll recognize any text and send it back to you along with smart, contextual reminders. Over time it'll learn from your decisions to help you reach any goal. To us at Ranktab, aiding in daily decisions was a natural step after reaching 1.5M+ collective decisions in our SaaS platform and understanding the value that cognitive data clustering could bring through new interfaces. We started by adopting the new wave of chatbots, and last year we introduced our Spark and Slack chatbots, but TextBot is not a chatbot. We chose to experiment with the concept of Invisible Apps, where you do a single action, such as sending a photo, and you make things happen. Apps without an interface. It’s a completely different mode of interaction, one that reduces adoption barriers for verticals in urgent need for innovation, such as healthcare. With a chatbot, you ask specific questions and give specific prompts for what you need. Our goal with TextBot is not overwhelm you with questions, but to understand your style for completing goals just based on how you interact with it. If you happen to be in the Bay Area, we’d love for you to give TextBot a try and let us know what you think! 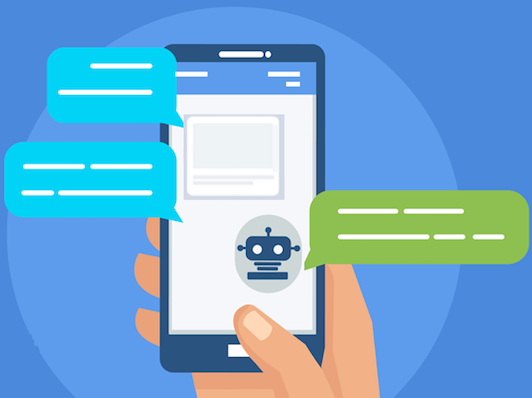 TextBot is an early beta of our upcoming technologies based in machine learning and artificial intelligence, and as such we are still iterating, fixing bugs and improving the experience. We’ll be slowly letting people in from the waitlist. It’ll take time for TextBot to learn about you and for us to refine how it all works, but it is certainly in line with our company’s mission: Decide Smarter, Together. Join TextBot’s private beta today.